What items should I bring with me to the cabin? Bring toilet paper, paper towels, food, trash bags and personal items (body soap, shampoo, toothbrush, etc...) Bed & bath linens are provided. You can book through our website’s secure 24/7 online booking feature. You can also contact our office at 1-877-6CUDDLE to reserve your cabin over the phone. 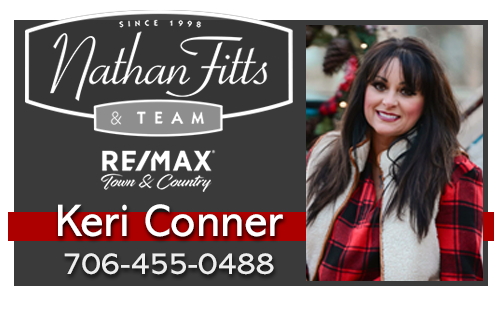 Our office hours are Monday – Saturday --9:00A.M.-5:00P.M. EST, and Sunday 12:30P.M.-5:00P.M. How do I prepare for my check in? After booking your cabin, the first step in preparing for your check in is to complete the required rental agreement and turn it into the office. Once your rental agreement is on file with our office we can set up your cabin check in location and make arrangements to send out your check in packet. Will I get a reminder before my final balance is collected? All rental balances are due 14 days prior to check in. An automated message will go out to the guest email address on file to remind you of the upcoming balance due 72 hours before your balance is scheduled to be collected. What is included in my Check In Instructions? Cuddle Up Cabin Rentals does offer travel insurance for your trip. The policy will protect your investment in the rental in case of emergency or unexpected cancelation. Remember all rentals including last minute bookings are subject to cancelation penalties. We have a limited number of pet friendly cabins, and those properties accept only dogs under 25lb dogs. Each cabin owner determines if their cabin accepts pets, this is based on their personal preference and in some cases severe allergies. Please do not bring a pet into a cabin that does not accept pets. If you bring a pet into a non-pet friendly cabin you will be asked to leave without a refund and you will be charged a minimum of $300 for additional cleaning. Check in time is 4:00 PM. Express Check In information will be emailed to you within 2 days of your arrival if your rental agreement is signed and returned and your balance is paid in full. We are arriving to the mountains early, are we able to get into our cabin early? 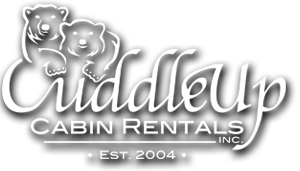 Due to the size of our rentals Cuddle Up Cabin Rentals cannot accommodate early check-ins or late check-outs. 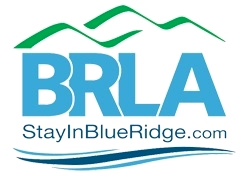 If you arrive to the mountains early please spend your time getting to know the area by visiting the shops and dining options in historic downtown Blue Ridge, enjoying a riverside picnic at Ron Henry Horseshoe Bend Park, or a quick hike at the Ocoee Whitewater Center. We do not recommend that you purchase perishable items before arrival. When and how do I check-out? What's cell phone reception like at the cabin? Cell phone service is sporadic in the mountains. VERIZON is great at most properties, others have better CINGULAR/AT&T coverage. More remote cabins have no cell phone reception. Neither NEXTEL or T-MOBILE stretch this far north. Each cabin has a land line for local numbers like our office, area businesses & restaurants, & emergencies. Are there grocery stores and restaurants near the cabin? Yes, our cabins are very convenient to shopping in downtown Blue Ridge, GA & Copperhill, TN & McCaysville, GA. Each cabin is equipped with a welcome book packed full of business descriptions and directions. Everything from grocery stores, chain restaurants, to local eateries and the best local boutiques is covered. Cabin fireplaces are available seasonally from October 1 – March 31, and during those times adequate firewood is provided for guests. If you burn through the wood left out for the interior fireplace you will be responsible for purchasing more. Guests are responsible for purchasing the firewood they use in outdoor fire pits or outdoor fireplaces. Firewood bundles are available for purchase at many local stores and gas stations or you can contact our office to purchase firewood and arrange to have it delivered before your arrival. Will I need a 4-wheel drive vehicle to access the cabin? Our housekeeping contractors and office staff use everyday cars (Honda accord, Kia mini-van) to conduct quality checks & stock all our properties. However, some properties do have steep driveways or gravel so we caution against driving cars with exceptionally low ground clearance & motorcycles. How old do I need to be to rent a cabin? Guests must be 25 years old to rent a cabin. Parents please do not attempt to rent a cabin for your underage children, we verify guests age at check in. No matter when you cancel, there is a financial penalty. If it is a last minute booking or you wish to cancel the same day you reserved a cabin, cancellation penalties will still apply. Cancellation penalties increase based on how quickly the date blocked out for your arrival is approaching. Cancellation policies are different and penalties higher for holiday reservations. Non-Holiday Cancellations: If you have not booked holiday dates & you cancel more than 30 days before the beginning date blocked for your arrival, the penalty is $65. If you have not blocked holiday dates & you cancel 30-15 days away from the beginning date blocked for your arrival, the penalty is $300. If you have not blocked holiday dates & you cancel 14 or fewer days away from the beginning date blocked for your arrival, the penalty is the full cabin rental amount. Holiday Cancellations: If you have booked holiday dates & you cancel more than 60 days before the beginning date blocked for your arrival, the penalty is $85. If you have booked holiday dates & you cancel 60-22 days away from the beginning date blocked for your arrival, the penalty is $300. If you have booked holiday dates & you cancel 21 or fewer days away from the beginning date blocked for your arrival, the penalty is the full cabin rental amount. Are your cabins in walking distance of each other? Yes, some of them are! 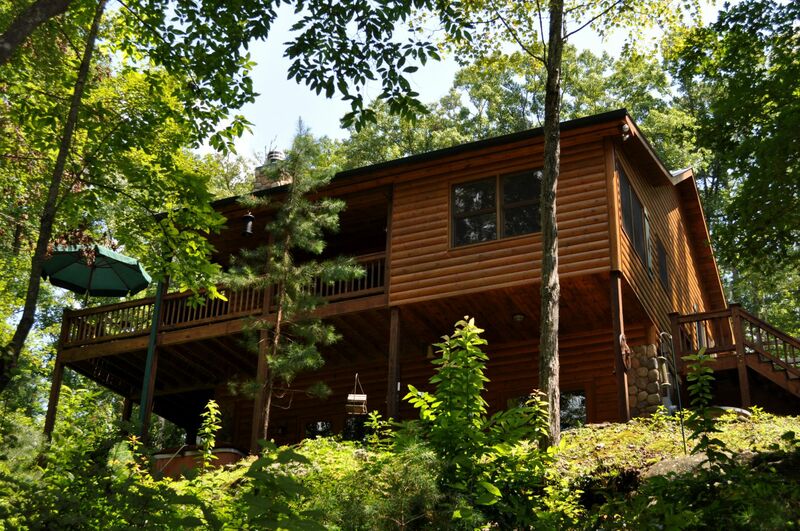 Each of our cabins is privately owned, and we are fortunate enough to have several cabins within walking or a very short driving distance of each other. Do you need a fishing license to fish from the cabin? Yes, Georgia and Tennessee state law require a valid fishing license when casting a line in moving water. But if the cabin you selected has a stocked pond, you can fish without a license. We sell Georgia licenses in our office and our website also has links to both state websites where you can purchase fishing licenses online! I forgot something at the cabin during my stay, how do I get it back? We cannot guarantee that we will be able to locate and return your lost items. We keep forgotten items for 30 days after guest departure. To return items there is a minimum $25 handling fee as well as additional charges for any packing materials and postage. Will I see wildlife during my stay?